Due to limited availability you must call our offices to reserve the wheelchair. These wheelchairs are made of high grade stainless steel tubing weighing 40 lbs and measuring 33.5 inches wide to access a 36 inch doorway. 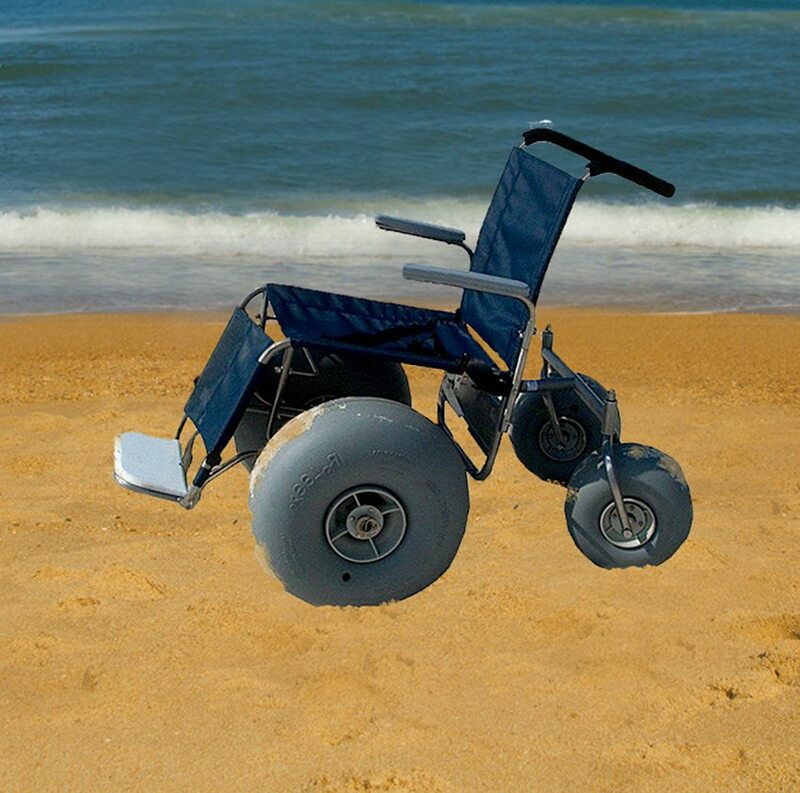 The rear wheels rotate 360 degrees; it comes equipped with a swing away armrest, footrest with linear position telescopic length adjustment with four positioning angles, and large balloon tires for easier maneuverability on the sand!